Rose shrub white (1 pt.). 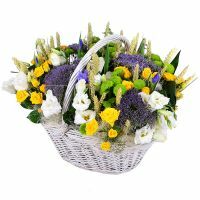 Birthday, Colleague, Condolence, Daughter, For her, For mother, For young lady, Girlfriend, New-born, Sister, Wedding flowers, Аnniversary. Luxury roses enchant at first sight! 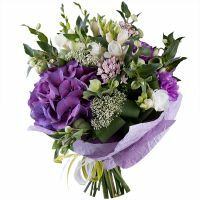 That is why these bouquets are the favorite gifts for women. 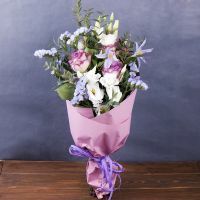 On March 8, or birthday, anniversary or Valentine's Day - bouquet of white roses will tell about the most intimate feelings. 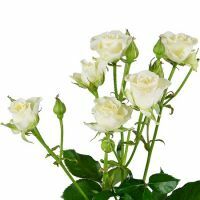 White shrub roses by piece is a wonderful way to choose size of the bouquet or complete the composition with these flowers. 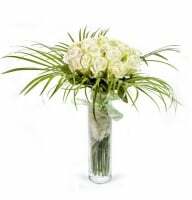 Delicate white color as a symbol of loyalty, tenderness, purity and gratitude, is best suited as the floral greeting to wife, mother, sister, or even colleagues. You did an amazing job. I placed​ the order with you from Springfield, Virginia USA and you contacted me right away with a small but very​ appreciated change in flower color. 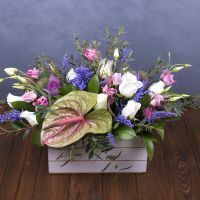 Your delivered them within hours and the family received them with any issues and absolutely love them. Great job!!! Keep up the wonderful work that you do. Manager response: Chris, thank you for your feedback. We are always happy to bring joy and positive emotions. Have a nice day! Perfect !!!! I trust you and will trust you again ! Best regards and thank you very much ! Manager response: Dear Alain, thank you! We hope, that your Lady is happy!